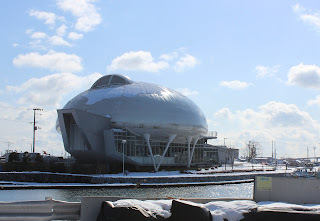 Today we were headed to Tashirojima, which is better known as Cat Island! The island is probably the most well known of Japan's Cat Islands, which are all famous for being home to what can only be described as swarms of kitties. On this island the felines were brought over at one point to help with the silkworm farms by keeping pests down. Over time their numbers increased such that there are now four times as many cats as humans. The island is now largely supported by a declining fishing industry with the fisherman looking after the cats who roam the streets. In fact, after a cat was accidentally killed by a falling rock they even built a small cat shrine in the middle of the island. 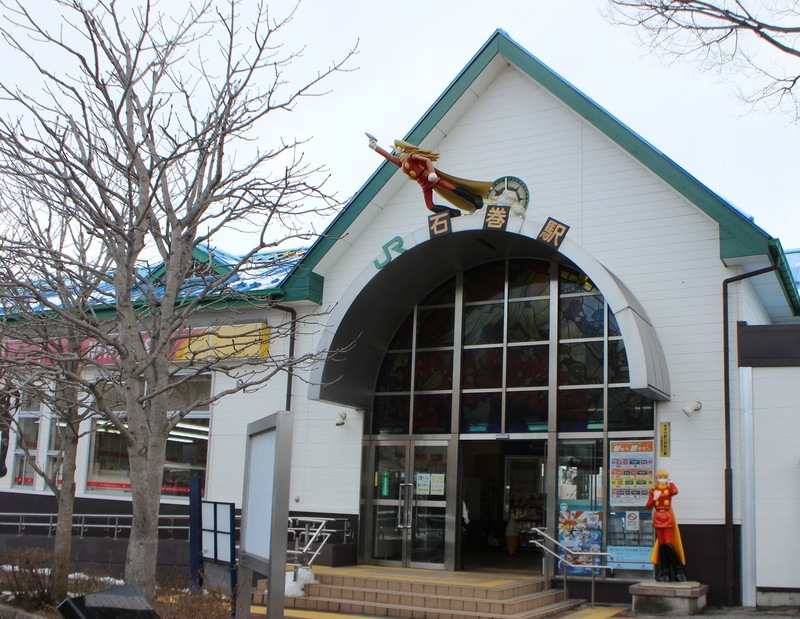 Cat Island is located off the coast from Ishinomaki, which is a small town not too far from Sendai. 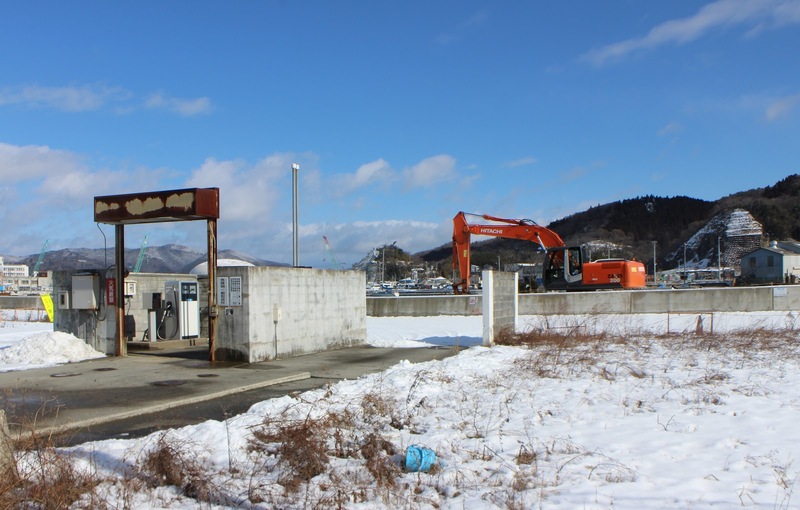 Unfortunately Ishinomaki was one of the hardest hit locations of the 2011 earthquake and the tsunami sweept away most of the town. Even now, half a decade later, the town is still struggling to recover. Cat Island was also affected, with flooding occurring near the ocean, however thanks to the geography of the area it escaped massive damage. 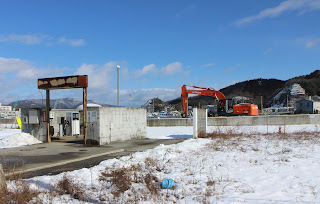 From Sendai we caught a morning bus out to Ishinomaki as sections of the train line were still being repaired. However the line has now been repaired and you can catch a train along the whole distance. 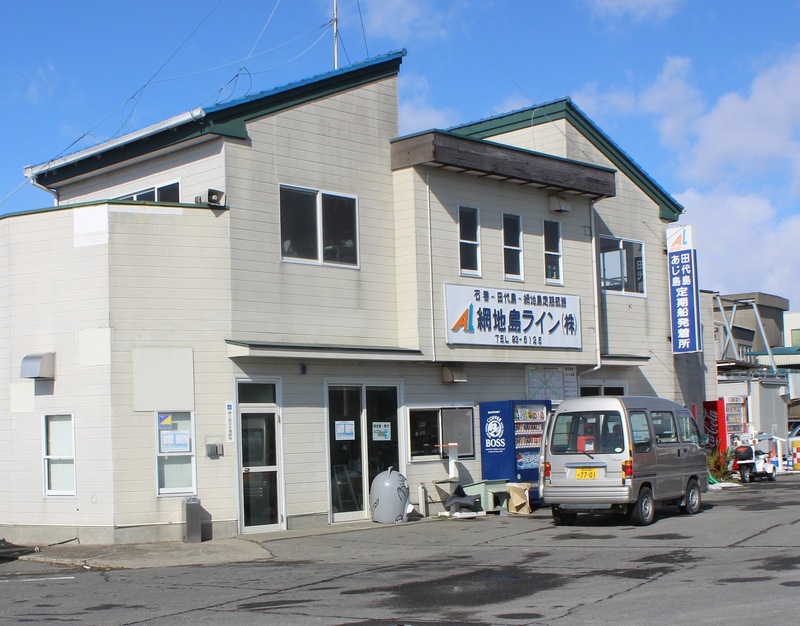 After about an hour's trip we arrived at Ishinomaki station and consulted a nearby map to work out the direction to the ferry terminal. Unfortunately it’s a bit inland, about 3km, so we spent another 35-40 minutes walking down the river to the coast. We also got a little lost as it was a little tricky to make our way around some of the cordoned off areas and construction. 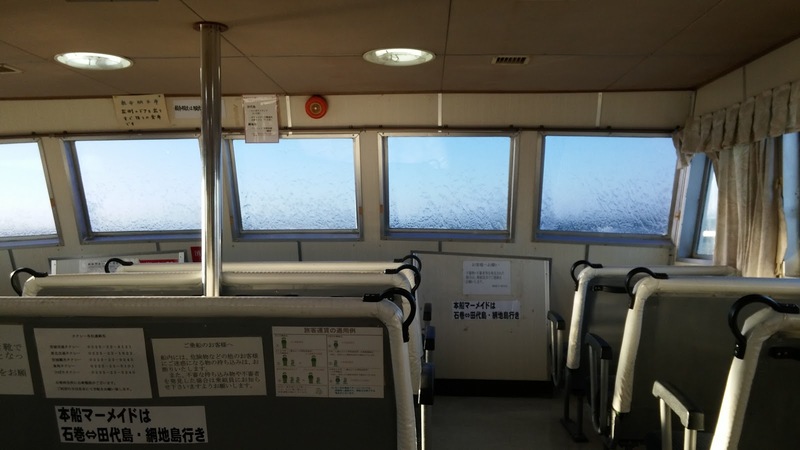 The island is located a decent distance from Ishinomaki and there are only around three ferries per day in each direction. 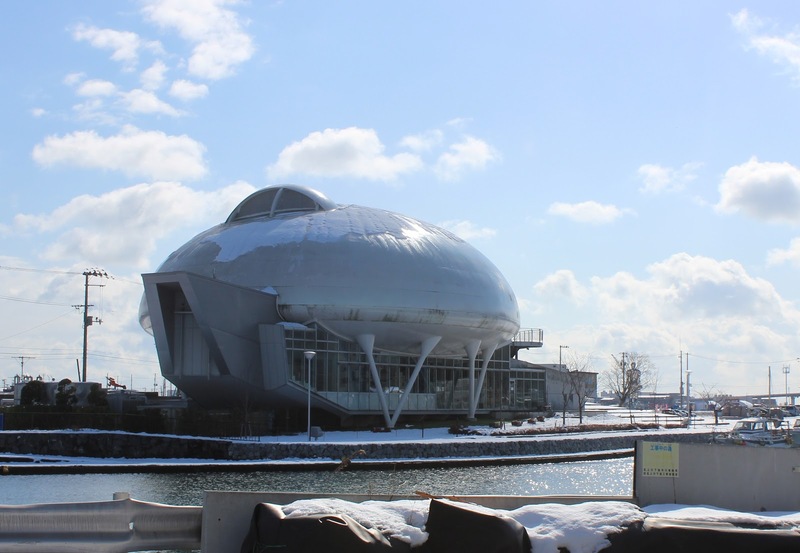 That said, the times change frequently and there may be more services in summer instead of the middle of winter. We bought our ¥1,230 ticket from a vending machine inside a little waiting room and at around 12:10pm boarded the ferry which chugged over to Itoda port on cat island, arriving around 45 minutes later at 12:56pm. 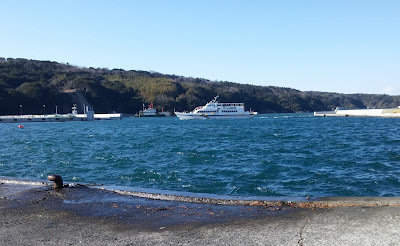 Along the way we saw various other boats, such as a large container ship and the 123m limestone carrier Hokuyo Maru. I only know this because I just looked up the name. Upon arriving, the one or two other people on board quickly disappeared off somewhere else on the island, and everyone waiting hopped on board the boat to head to the mainland. 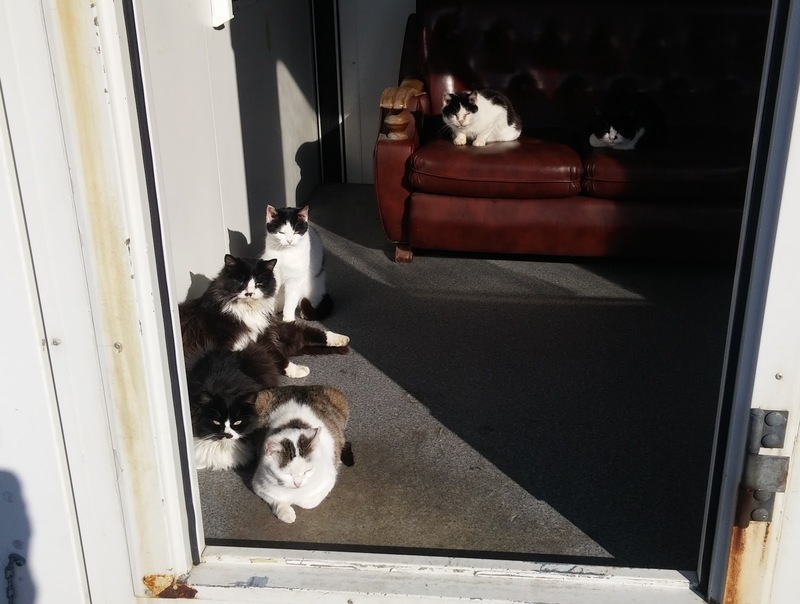 We walked over to the waiting room, which looked a bit like a shipping container, and found some cats! They were inside as well! Actually to be honest it was a little smelly in there. Next we walked around the town and found lots of cats wandering around. They were quite friendly and when I sat down a few came up to me and sat next to me. Some were more cautious than others and they each had their own personality. After poking around the town a little bit we walked to the only local shop which was an experience. 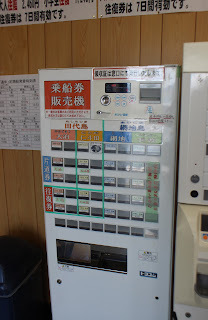 It was a bit of a corner store with various goods, though we found that quite a few things were out of date. It was also very run down, and didn't seem to be doing a roaring trade. There was also two vending machines outside, one quite new, another, not so much. 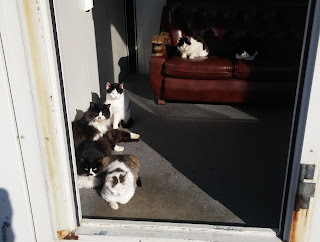 On the shop's steps we found more cats relaxing in the sun! 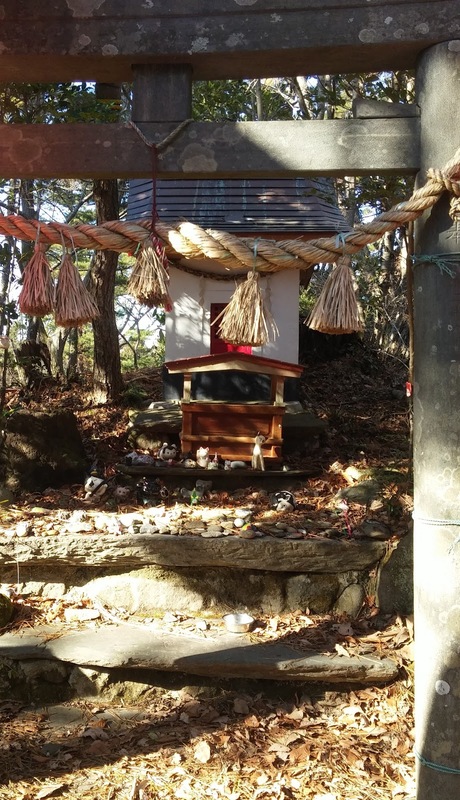 Next we walked up the main road and hill on the way to the cat shrine in the middle of the island. Along the way we saw many more cats. For mostly wild/stray cats most of them looked pretty healthy and well cared for, although one was unfortunately missing a face. Probably due to a fight with another cat. After a bit of a climb we reached the shrine and took a few photos. We then continued back down the other side of the hill down to the ocean which put us on the other side of the harbour. 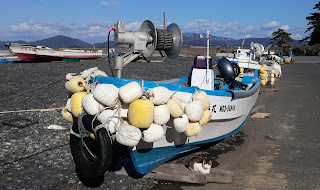 We were in a bit of a hurry as we wanted to make sure we arrived a little before the next boat left (at a little past two), so we quickly walked around the small harbour to where we had disembarked. 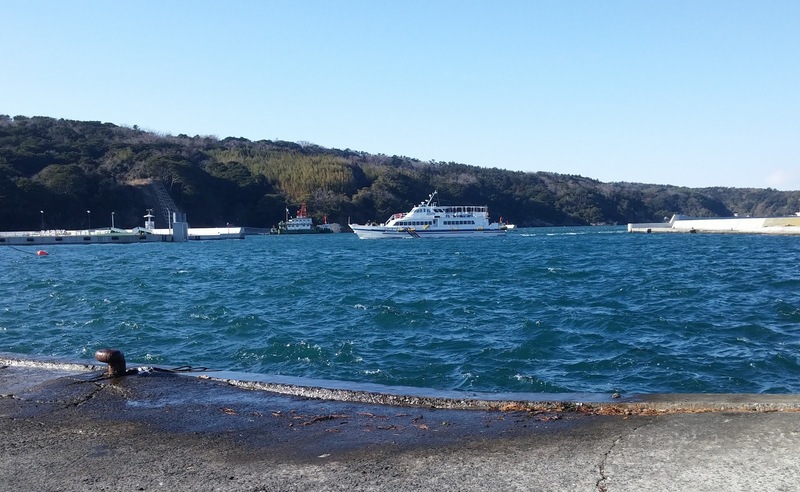 At 2:05pm the boat arrived, right on time, but it headed to the other side of the harbour and docked there instead! We ran back around to the other side, which was quite the effort, only to be told that the boat wasn't running! I asked why and was told that apparently that the waves were too rough and that the boat would not be able to handle the trip. Our boat heading to the other side of the harbour!! We were told we should go back to the other side and wait for the Mermaid as it is a much stronger boat. Only problem was that it wasn't due for another hour and a half. 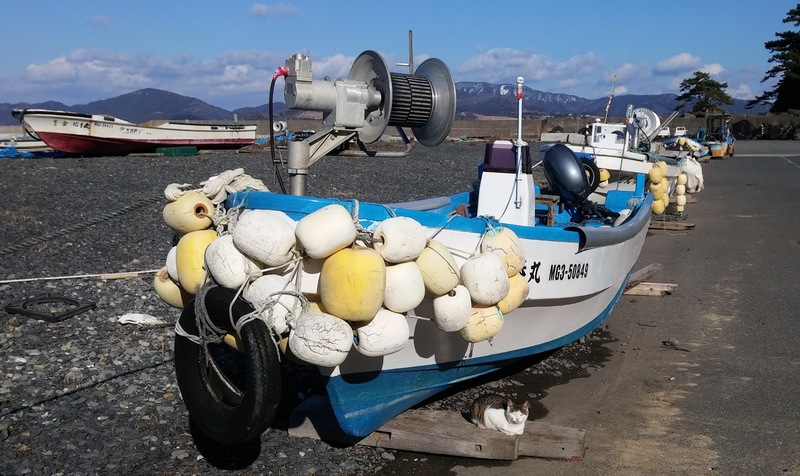 The workers on the boat didn't speak any English and my Japanese is a bit dubious so Kate was freaking out a little- would the next boat even come? If it didn't we'd be stuck overnight as it's the last boat. We were also a bit skeptical about the reality of the weather as it looked perfectly fine to us! Anyway we waited for a while with the cats and at around 15:22pm it showed up! We were the only people to get on and we soon found out that the other guy was not joking about the waves! We went up and down very violently in the open water with a large amount of the boat leaving the surface of the water after each wave and crashing down hard- sending a huge wave of water completely over the boat. So we'd alternate from looking up at the sky to having a complete whiteout as the whole boat dove back into the sea. We'd actually come over on this boat and it was so calm. I’d even went outside to take photos. Trying that now would have quickly caused you to become a man or women overboard. It was a pretty strong looking vessel at least, and we still had internet so that was good and we were not too worried. I also found out that Kate does not get sea sick. At one point one of the boat's workers came to see if we were alright- we were the only passangers aboard. I said something like- I'm not worried as long as you're not, and he said "it was all OK". 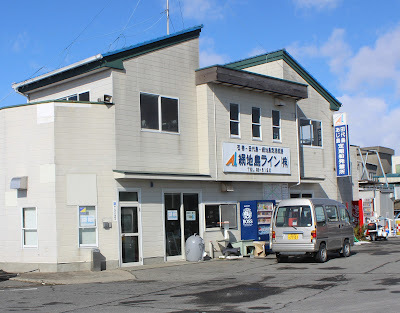 Anyway, we eventually we made it and pulled into Ishinomaki port. 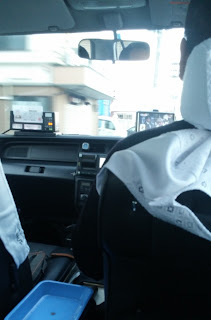 After disembarking we saw there was a taxi waiting and decided to catch it to the station rather than walk another 40 minutes. This taxi driver confirmed a disturbing trend we've noticed with commercial drivers in Japan- some of them have TV's to watch! Maybe the idea is to just watch it when you're waiting but I've seen truck drivers with them on when they're driving down the freeway! Anyway, we made it to the train station in one piece and caught the next bus to Sendai. Thankfully these buses were pretty frequent. Upon arriving we were really hungry for dinner! There really wasn't anything on the island so we hadn't had anything since breakfast. The local speciality in Sendai in gyuutan, which it is appreciated throughout the country. 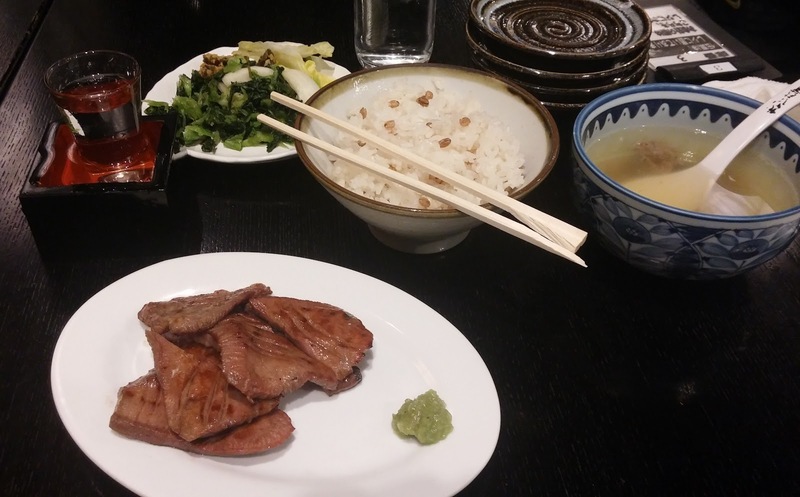 Gyuutan is thinly sliced ox tongue, and to be honest I was a bit hesitant to try it at first, however it really is very delicious. We managed to find a gyuutan restaurant near the station and ordered a set meal, which included gyuutan, rice, oxtail soup and some vegetables. We also got some sake! The meal was very nice and was the most delicious gyuutan we've had so far- fantastic! The only negative was we ended up in a place that didn't have a no smoking policy and someone lit up next to us. Thankfully it didn't last too long and there was good ventilation so the smoke was mostly sucked up. Still sucked though. After that we headed back to our hotel! Tomorrow we'll be visiting the Nikka Whiskey Distillery!